^ a b c d e f g h i j k l m n o p Victoria Bynum, The Free State of Jones: Mississippi's Longest Civil War (University of North Carolina Press, 2003). ^ a b c d e f g h i Victoria Bynum, "Telling and Retelling the Legend of the 'Free State of Jones,'" Guerillas, Unionists, and Violence on the Confederate Home Front (University of Arkansas Press, 1999), pp. 17–29. ^ Samuel Willard, "A Myth of the Confederacy," The Nation, Vol. 54, No. 1395 (March 1892), p. 227. ^ Knight, Ethel. The Echo of the Black Horn, pp. 69, 261, 321, 327. ^ Leverett (1984), Legend of the Free State of Jones, p. 64. 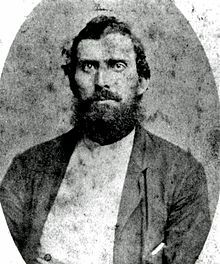 ^ Leverett (1984), Legend of the Free State of Jones, pp. 65–68. ^ Vikki Bynum, "Did Jones County Secede from the Confederacy? ", Renegade South blog, December 23, 2008. ^ Pamela McClintock, "Matthew McConaughey's 'Free State of Jones' Goes Up Against 'Independence Day: Resurgence', The Hollywood Reporter, March 9, 2016.